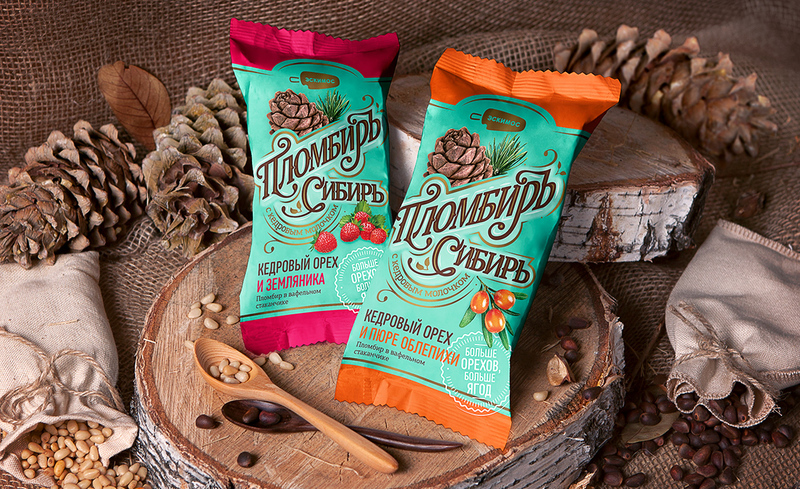 Premium Siberian Ice-Cream is made in the Siberian city of Tomsk. 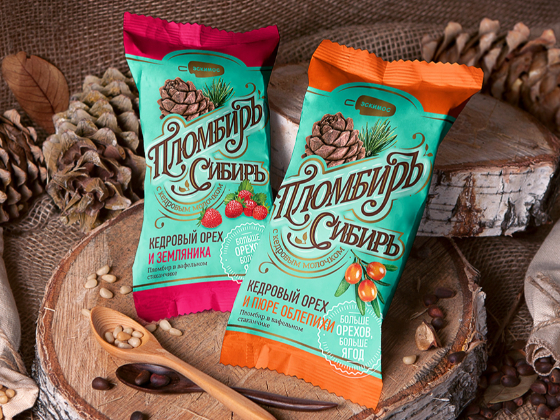 Its ingredients are all natural Siberian products, including sea buckthorn, wild strawberries, pine nuts, and pine-nut milk. Our brief when developing the new product packaging was to grab attention with a bright and unusual wrapper, and create something which is just like the ice-cream itself – a completely exceptional image. The base colour of turquoise highlights the freshness, chill, and the natural goodness of its Siberian background. Going further, this colour highlights the pine-nuts and contrasting colours that identifying its flavour. 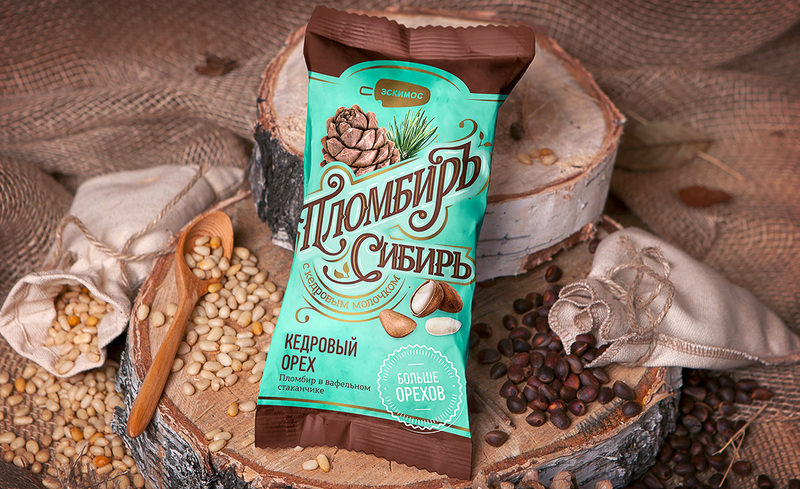 Premium Siberian Ice-Cream is made from pine-nut milk, so the pine-tree emblem features prominently in the upper panel – while the different flavour ranges are featured by showing the additional ingredients on a separate colour on the lower panel of the wrapper. The gold embossed highlighting reinforces the generous helpings in the product – 'more nuts, and more berries'.